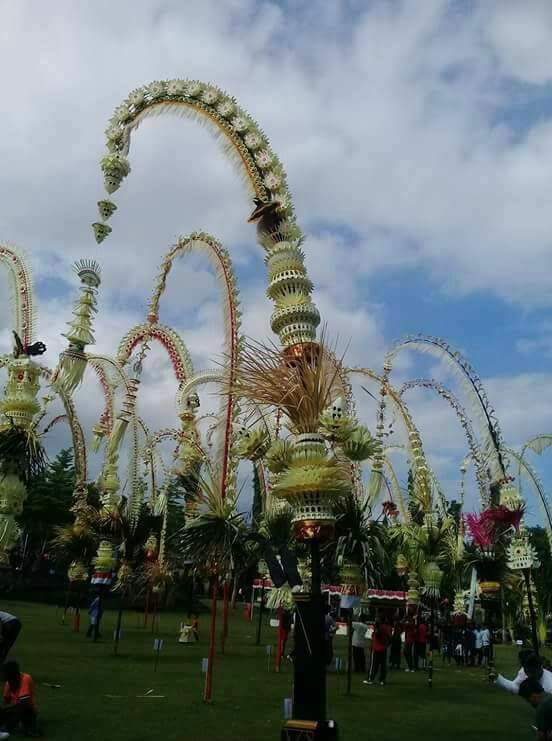 Penjor for the second Galungan and Kuningan celebration in 2017 has begun to be made by Balinese. The penjor trader also began selling everything to make a penjor. Penjor has two functions to create. As part of the ceremony and tradition, as well as decoration. because today penjor has been made with high artistic value and expensive.